Our lives are filled with extraordinarily ordinary moments. Our souls are illuminated by them. we become tellers of sacred tales, artists of our lives. The most precious gift you can give to your children is a record of the stories about your family and your life. 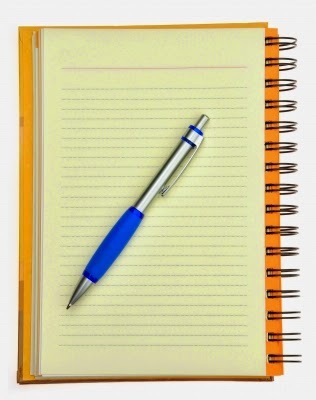 Whether you decide to write them in a notebook or computer or record them on video or mP3 file, it makes no difference. The important thing is that you preserve these stories for future generations. Some of you will push back from the idea of telling your life story because you haven't discovered a cure for cancer or designed a space ship to land on Mars. Your life is more important than any of that because you will be a historian writing about your times and happenings of the day. Only you can tell the truth about your life and experiences. Future readers will wonder as they peruse the stories how you ever lived without a TV, computer, smart phone, or microwave (or what else they may be using in the future?). But the story of your life, the struggles, the joys, the accomplishments, will be what they understand. Your account will be a guide to help them through their own lives. Don’t put it off anymore. Begin today. Pick one story out of all the family stories and write it down. Perhaps you remember a funny experience when you were in school. How about that disastrous Christmas dinner you prepared for your in-laws? What was your favorite toy when you were growing up and why? Is there a family recipe that has been passed down from one generation to the next? Share it and tell about the Grandma or Aunt or the person who used to prepare it for you. See? Just pick out one story your family always tells at get-togethers and develop it. Scribble it down quickly without regard to your Sixth Grade teacher who would definitely mark it up with her red pen. You get the basics of the story (what I call the bones) down on paper, and then you can always go back and flesh out the details. Don’t worry about grammar and punctuation until you have the story down. Then you can revise and edit or have some fresh eyes read the story to find errors. Once you begin writing and discussing your story, the joy you and your family receive from sharing it around your "hearths" or campfires will amaze you. Have fun with it. As you can tell, I am a crusader for life story writing. I have presented several workshops on Writing Life Stories. In April the woman who influenced me to pick up this cause passed away. To honor her work, I want to continue her mission of encouraging everyday people to record their stories. I will be presenting some ideas to you in the next few weeks to help you get started on writing your story. Please return Thursday, June 19, and the following Thursdays to get motivated to write/record your story. I have a spotty memory of my younger years. The things I do remember, I don't think I should pass along anyway. OMG GRANDMA! YOU DID WHAT?!?!? Oh Marva, I know what you mean. Kids cannot imagine we were once teen-agers and getting into trouble. Or, well, in your case, you've been causing trouble since you were a kid, eh? Thanks for stopping by! MM--Boring? With your great sense of humor, I can't imagine your family was boring. I bet they were full of fun or pranks! So happy to have you consider doing this. Come back the next few weeks to discover something that will spark a memory for you to write. I know you are a great storyteller. How much fun you could have writing about all the characters (real ones) who you grew up with and journeyed through life with. This is a great idea, J.Q. I look forward to checking out your future blog posts on the subject. This post caught my eye as doing this for my father-in-law changed our lives. You see my husband Rick and I are videographers/filmmakers and Rick's dad is a writer in Florida. He was also a popular speaker and due to health reasons, couldn't do it any longer. So one day when he was visiting, Rick set up a simple shot with him on his porch. His intent was mainly to capture his dad for the family. You see, people have hired us to do that for them. It was his dad's idea to turn that video into a film. It won many awards and we started selling it on the internet which launched our business. We also sell his books and now my husband goes out lecturing in his place. He brings his dad along via the clips from the DVD. SO you can see I'm a huge proponent of getting your story down and I have to say, every one I shot, was extremely interesting. You DO have an interesting story that your heirs will want to hear and who knows? you may make a business out of it like we did! By the way, I found your blog via the Book Marketing Challenge and you were so kind to be the first to share a comment on my new blog for my book Shoot To Sell. Oops! Somehow it picked up my husband's name in that last comment. It was me, Kim Miller, who left it. Hi Susanne, I look forward to seeing you here on Thursday. Blow off the cobwebs covering those memories. It'll be fun. Emaginette--did you interview your grandmother or did she just start telling you stories about her life? That is so cool that sharing her life stories brought you two closer together. Thanks for sharing this. Kim--I was happy to be the first comment on your new blog!! What an exciting time for you. Really enjoyed reading about your father-in-law's life story being the seed to your business. BTW, share your new book release name and link to where we can find it. You broadened my thinking of recording a life story not only in writing and audio files, but videos would be cool too! Thank you for stopping by.